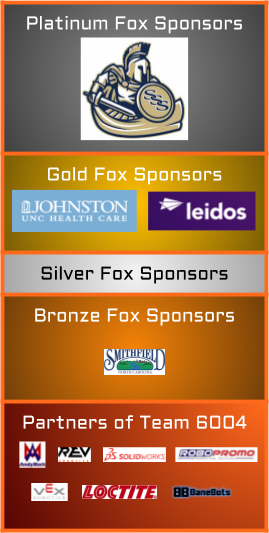 Thank you to our generous sponsors for helping to make it possible for our students to become STEM leaders in robotics. 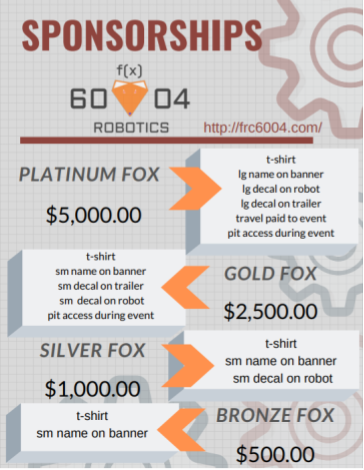 With a $55,000+ budget which includes robotics competition entry fees, travel costs (gas, food, lodging), robotics tools and parts, and much more, we are in need of even more sponsors. Thank you for donating to our non-profit SSS Robotics Booster Club!